Maybe on 24th February, 1966 was the day Ghana had her freedom and independence led by Lt. Gen. Emmanuel Kwesi Kotoka, Lt. General Joseph Arthur Ankrah, Brigadier Akwasi Amankwaa Afrifa and others who spearheaded the overthrow of the government of Osagyefo Dr. Kwame Nkrumah. Maybe 52 years ago was when Ghana became the source of inspiration for Africa’s liberation from the trenches of colonial rule and its appendages of neo-colonialism; and Ghanaians began to see an industrialized economy and a free society void of socio-economic injustice, poverty and deprivation. Maybe on this day, Ghanaians should be celebrating the IMF stagnated economy dousing our hopes and aspirations to development; and the decadence of corruption helping us ‘to resist oppressors rule’. Verily speaking, today marks the ‘Dark Days in Ghana’. February 24, dubbed by reactionaries as ‘Ghana’s Days of Liberation’ is but ‘Ghana’s Day of LIES’. Indeed, the lapse of time has not taken place of evidence, and has it neither gathered enough sand upon falsehood to equal with truth. According to Richard D. Mahoney’s “JFK Ordeal in Africa”, the National Liberation Council (NLC) was a brainchild of the CIA and British Intelligence which conspired with a bunch of traitors among the army and the police to organize the bloodiest coup d’état in the history of this country in the usurpation of the first Republic government. It was a counter-revolution of Ghana’s path to sustainable progress and development to the rest of Africa. It was Africa’s day of betrayal driven by lies. In Walter Rodney’s “How Europe Underdeveloped Africa”, chapter 2, page 33, he highlighted a quote of a Gold Coast Nationalist, J. E. Casely-Hayford that, ”before even the British came into relations with our people, we were a developed people, having our own institutions, having our own ideas of government." The African traditional society is a centralized society and our democratic (traditional) system of government is centralized. Democratic centralism finds a new name in one party state. In fact, Julius Nyerere once quipped that it is for the benefit of a society to have internecine views, but it is a bane to have them organized. A heterogeneous society, like Africa, has provided the breeding grounds for tribalism – leeching on its body politics. Ideally, political parties mirrors the socio-economic aspirations of the people. By far, Africa has not had a clear-cut class system of society to define the political organizations of the people; therefore, most often than not, people resort to petty tribal politics, if not religious, in seeking political power. In the early years of post-independence, the problem of tribal and religious politics emerged with the likes the Asante based National Liberation Movement, Northern People’s Party, Ga Shifimo Kpee, Anlo Youth Organization, Muslim Association Party, et cetera. The Avoidance of Discrimination Act , passed by Kwame Nkrumah in 1957 outlawed parties based on racial, regional, or religious differences. Sadly enough, we are spuriously told that that western ‘democracy’ is pluralistic which ought to be emulated. I dare say that western democracy is anti-plural pluralistic! The rulings parties are monopolistic and all others parties are transient. The United Kingdom had a unicameral chamber of parliament for 200 years until the reign of Simon De Monfort. In the United States, the two main political parties were formed during the civil war which united the federation – almost a century after the independence. These historical materialisms have engendered the two nations to have the most advanced and powerful political system in the world. It was inglorious when in 2011, President Akufo Addo, then the opposition leader congratulated the Communist Party of China on the occasion of the party's 90th anniversary in power. China, a heterogeneous country like Africa, started the journey with Ghana to march into a global economic power. Also, Malaysia and Singapore walked along the path of one party state to achieve their enormous economic status. So why the cause in demonizing that path we took to reach to the destination of a developed economy? It was a vision. However, it was hunted by power hungriness veiled in the course of multi-party democracy (democratic factionalism) to divide and rule and to allow the exploitation by the metropolis. How was Ghana going to deal with the high levels of intolerable violence? Each country in the midst of a terrorist crisis has a set of emergency laws that are similar to the PDA. In general terms, the concept of preventive detention has been in existence since British rule in India and elsewhere in other colonies. For example, the U.G.C.C leaders (the so-called Big Six) arrested after the 1948 riots in the Gold Coast were technically held in preventive custody and were neither charged nor tried. Less than a year after independence, and after three defeats at the polls in 1951, 1954 and 1956, four prominent members of the U.P. were involved in either undermining the stability of the new Ghana or planning a coup to overthrow the C.P.P. government. In November 1957, only eight months after independence, S.G. Antor and Kojo Ayeke two leading U.P. supporters, were arrested and charged with complicity in the Alavanyo riots in Transvolta Togoland, which took place during the independence ceremonies. (The PDA (Authors: Ekow Nelson and Dr. Michael Gyamerah). In 1958, Modesto Apaloo and R.R. Amponsah (General Secretary of the N.L.M., and later the combined opposition parties, the U.P.) were implicated in plotting the first coup in the new Ghana with Captain Awhaitey, Commandant of the Giffard Camp (now Burma Camp), and were also held to have been involved in the 1961 Kulungungu bombing. 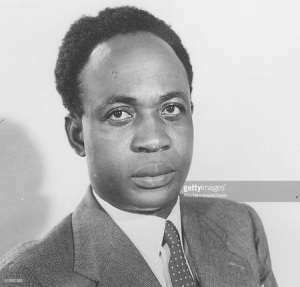 By the fifth assassination attempt on Nkrumah's life, a death toll of 30 Ghanaians, men, women and children, had been recorded with the wounding of some 300 others. What is more, it was stated in page 185 of the “JFK Ordeal in Africa” that J.B Danquah and his family were on the payroll of the CIA plotting to overthrow the first Republic government. The state of the nation was in security turmoil, and the calls to avert these havocs caused PDA to be legislated in 1958. Let us not forget that after 1947, both India and Pakistan adopted prevention detention statutes to bring this long - standing practice within the purview of their judicial systems and constitutions. In the Indian Constitution, this comes under Article 22 - “Protection against arrest and detention in certain cases” specifically denies anyone held in preventive custody the fundamental rights set out in clauses (1) and (2). Article 22 Clause (3b) specifically states: “Nothing in clauses (1) and (2) [i.e. protection from arbitrary arrest and detention, the right to consult and to be defended by, a legal counsel of choice] shall apply to any person who is arrested or detained under any law providing for preventive detention”. (The PDA (Authors: Ekow Nelson and Dr. Michael Gyamerah). The British adopted the preventive custody to quell the Mau Mau Uprising in Kenya. In the United Kingdom for example, The Prevention of Terrorism Action (PTA), allowed for detention without trial, charge or access to legal counsel for a period, has been in force since the early 1970s. Since 9/11, both the US and UK governments have introduced anti-terrorist legislations, much of which has created a proactive and conducive atmosphere for preventive detention and some would argue, encouraged the flagrant breaches of human rights. The UK’s “Anti-terrorism, Crime and Security Act of 2001” allowed non-UK nationals to be detained without charge or trial for an indefinite period of time, if the Home Secretary believed such a person was a national security risk and a suspected "international terrorist who could not be deported. Perhaps, let us ask the revisionist historians why the NLC repealed the PDA, they put in place the Protective Custody Decree (PCD) to arrest people without trial? And when asked why Dr. Busia indicated in the inaugural speech on October 1st 1969 “there were 1377 political prisoners in jail…. The NLC took 1850 political prisoners,” per Kwaku Baako Jr in 2011, they deliberately ignore? And long live his legacy!!! National Cathedral: A Subtle Attempt To Make Ghana A Religious State?